Magnificent colouration and a graceful shape. 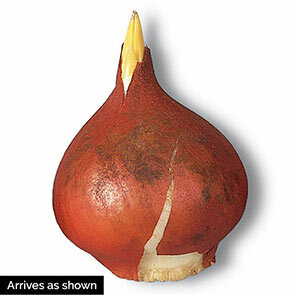 Give your garden beds and borders a touch of elegance and a ton of colour with this new tulip. 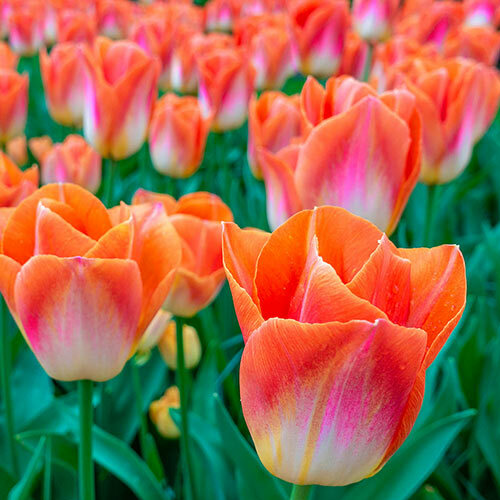 Lava Dynasty produces shapely blooms with a delicate orange-apricot colouration and a halo of pure white at the base of each flower. Tall stems are sturdy and keep the fragrant tulips upright in the landscape.